BatiPlus is launching a process of Technical Control of the construction of SERENADA Shopping Center located in Kraków, Al. Gen. Tadeusza Bora Komorowskiego. Serenada is going to be placed in the biggest commerce and entertainment zone of Kraków, in the north of the agglomeration. Already in the zone there are: Shopping Center Krokus (including Auchan hypermarket with the area of 20 000 m² and a shopping mall with the area of 8000 m²), OBI, Toys’R’Us, a drive thru McDonald’s restaurant, a 12-screen Multikino and the biggest aquapark in Poland. Serenada is going to complement this offer by focusing mainly on fashion, gastronomy and entertainment operators who were missing thus far. 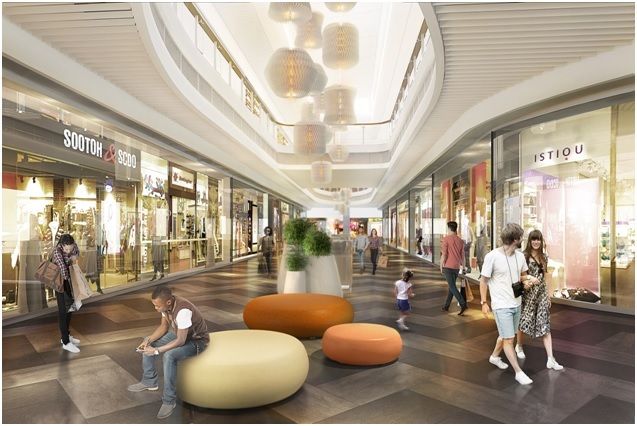 The center will be comprised of 3 commercial stories with the leasable area of 42 000 m2 and will accommodate 170 shops and sale and service points as well as a multi-level parking lot. Thanks to its localization near the main trunk road of Kraków, the object will be easily accessible for the customers. Within the 15 minute driving distance, there are nearly half a million inhabitants, the whole left-bank part of Kraków. The access to Serenada will be facilitated by the interchange with Bora-Komorowskiego Street, which will facilitate the access from the west and the exit towards Nowa Huta, as well as improve the traffic flow in the neighborhood. We are tremendously happy with the trust put in us by the investor Mayland Real Estate, which confirms the continuously strengthening position of BatiPlus on the Polish market. Mayland Real Estate is a leading developer and manager of big commercial facilities in Poland. The company has been operating on Polish market since 1995 as a Casino Group company. Since the beginning of its activity Mayland has commissioned the following modern shopping centers: Karolinka in Opole, Pogoria in Dąbrowa Górnicza, Jantar in Słupsk and Riviera in Gdynia. The company manages the commercial facilities and holds a significant project portfolio throughout the country.